Colfax Health & Rehabilitation Center, Inc.
Providing Home Town Care for Over 50 Years. Offering a Full Continuum of Health and Wellness Services. Serving Each Resident's Individual Needs. We've maintained our home town reputation for providing the very best care for over 40 years. Now we have the ability to serve seniors through all the phases of aging. Our staff at Colfax Health and Rehabilitation offers compassionate care and service to every patient, resident and family member. Colfax Heath & Rehabilitation Center is a comprehensive Health Care Campus offering a full continuum of health and wellness services to Colfax and the surrounding communities. 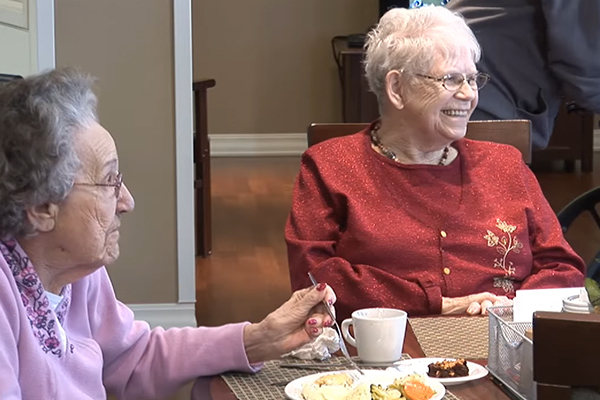 In addition to a full service skilled nursing facility we now offer assisted living services in two different settings, Ridge Crest Manor a 16 bed community based residential facility (CBRF) and a 12 unit residential care apartment complex (RCAC). Our new state of the art facility offers the very best accommodations that the industry has to offer. We have maintained our home town reputation for providing the very best care and now have the ability to serve seniors through all the phases of aging. "I would like to thank all the staff for the care I received while I was a patient in your facility. Of all the nursing homes and rehabs that I've been in Colfax Health and Rehabilitation Center comes in first place.....I've already recommended Colfax Health and Rehabilitation Center to many different people."